Yogini Ekadashi Vrat is on 3July 2013 on Yogini Ekadashi. Yogini Ekadashi vrat is observed on Ekadashi of Krishna Paksha, Ashada Masa. 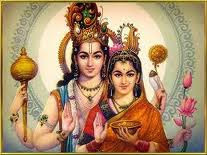 In 2013, this Ekadashi will be celebrated on 3rd July. 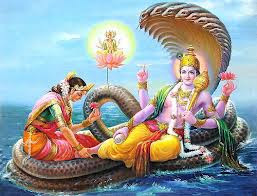 Lord Vishnu is worshipped on this day with full faith and dedication. Worshipping the Peepal tree on this day also have its own significance.Yogini Ekadashi fast is observed on Ekadashi of Krishna Paksha, Ashad Masa. 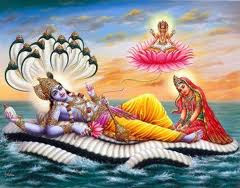 In the year 2012, this Ekadashi will be on 15 June. 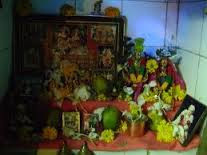 On this day, idol of Lord Narayan is given offerings and Abhishek is performed.. After that, Aarti is performed using flowers, incense sticks and lamps. Giving donations to poor Brahmans is beneficial, on this day. Additionally, worshipping the Pipal tree removes the sins of a person’s life. And, the person observing fast receives heaven after death. According to legends, a king named Kuber ruled the city called Alkapuri. He was a great devotee of Lord Shiva. 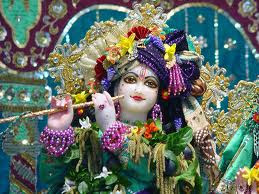 He used to offer flowers in the Puja brought by Hema Mali. Hemamali had a beautiful wife named Vishalakshi. Once, after bringing flowers from Mansarovar, he did not go for Puja and started spending time with his wife. King Kuber kept waiting for him till noon time. After waiting for long, he got very furious and ordered his servants to find Hema Mali. When servants returned back, they said, “Hey king, he is busy rejoicing with his wife.” Hearing to this, king immediately ordered his servants to call Hema Mali. He cursed the gardener with separation from his wife and will suffer from leprosy in the Mrityu lok. Being cursed by the king he immediately fell on the earth and became a leper. He also faced separation from his wife and suffered from many problems in the Mrityu lok. Due to the effect of Lord Shiva’s devotion, his mind did not forget the deeds of his last birth and he started moving towards the Himalayas. He visited an ashram on the way and met a saint. Hemamali reached to him and fell in his feet. The saint heard the full story of the gardener and decided to help him to attain salvation. He advised Hema to observe Yogini Ekadashi fast on Krishna Paksha of Ashada month to get rid of all the sins. Hema started observing the fast with proper rituals and devotion. As a result, he got back to his original form and started living happily with his wife. Legends narrate the story of a gardener named Hema Mali, a Yaksha and his extremely beautiful wife, Swarupavati. Hema Mali worked under Kuvera, King of Alakapuri, who was a pious devotee of Lord Shiva. Hema Mali’s job was to collect flowers from Manasarovar Lake and provide them to the king for the daily Shiva puja. Nonetheless, he was highly attracted towards his wife and hence, one day, he stayed back with wife neglecting his duties. 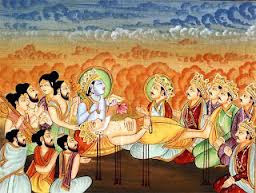 Thus, he could not deliver flowers for the puja to the king. The king sent one of his messengers to find out the reason for Hema Mali’s absence and negligence. The messenger found that Hema Mali was spending time with his wife instead of fulfilling his duty of collecting flowers. He returned back and informed the king that the reason for his carelessness is his gorgeous wife. Hema Mali was summoned to the court. Though he begged for forgiveness, the king cursed him with suffering from white leprosy and be separated from his wife. He was thrown out of the palace and Hem Mali immediately got afflicted with white leprosy. He wandered through the forests for years and finally reached the ashram of Sage Markandeya. The whole tale was retold to the sage. The sage asked Hema Mali to observe Yogini Ekadashi vrat in order to get liberated from the dangerous infection and relieved from the curse. As directed, Hema Mali observed the fast and returned back to his divine form as a Yaksha. Therefore, he was able to reunite with his wife and live the rest of his life happily. All devotees observing this fast are freed from their sins and are provided with great liberation. The rituals and customs for following Yogini Ekadashi are same as that of other Ekadashi fasts. The fast begins from sunrise and lasts until the next day’s sunrise. People observing a partial fast on this day resist from consuming food made from rice or grains. Dedicated to Lord Vishnu, devotees are advised to chant and recite Vishnu Stotras during the day of the fast.